My beloved GPS analyzer “GPS-Track” has been discontinued :-( I wasn’t able to locate an old version of it so I had to find a new tool which does the trick. On the other hand I upgraded my Windows Mobile phone to a newer version – resulting in the not-running of my previous gps logging tool. So I had to find another new tool. It’s freeware, written in .NET and worked out of the box with my bluetooth gps. 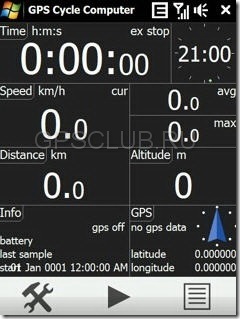 It’s called “GPS Cycle Computer” and has a lot of cool features like Google-Earth KML export, the obligatory GPX support and a great several display modes. 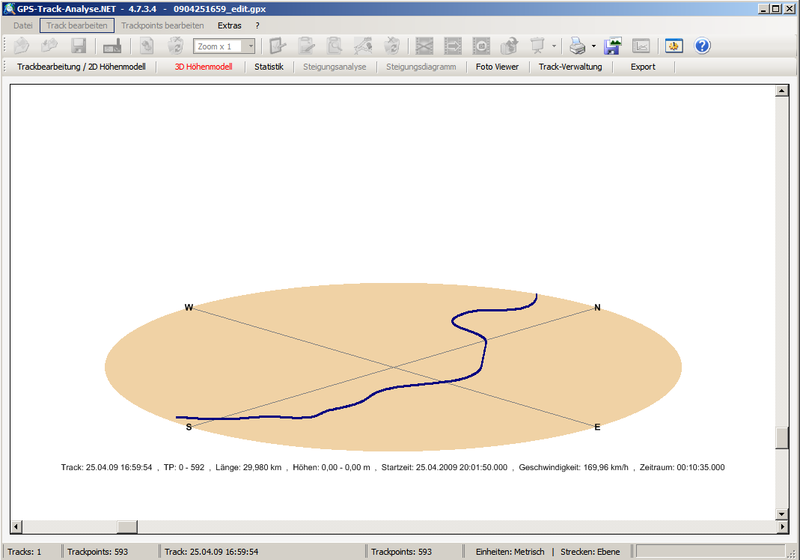 The GPS Logger exports an .GPX file which then is imported into the Analyzer called “GPS-Track-Analyse.NET”. 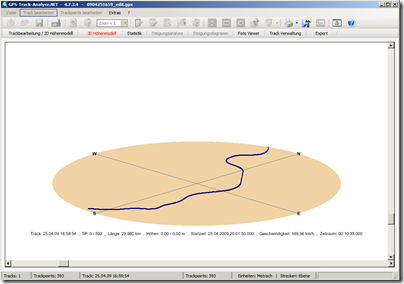 This tool – obviously designed to analyze hiking – allows you to view the data in different ways, edit waypoints and export it to several other formats.